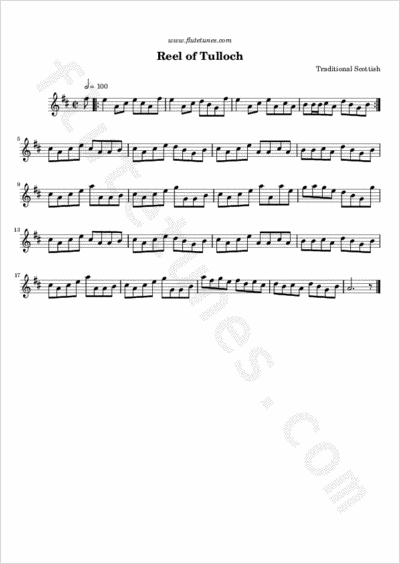 This tune was originally a very popular 17th-century bagpipe piece, probably composed at Tulloch in Aberdeenshire, Scotland. It has been used for a specific dance which is always performed to the tune, and it has been quite dominant at Highland dances. This dance, which is also called “Reel of Tulloch”, is said to have originated in the 18th century when, on one stormy Sunday, the minister at Tulloch was late and the congregation began to dance to keep warm.